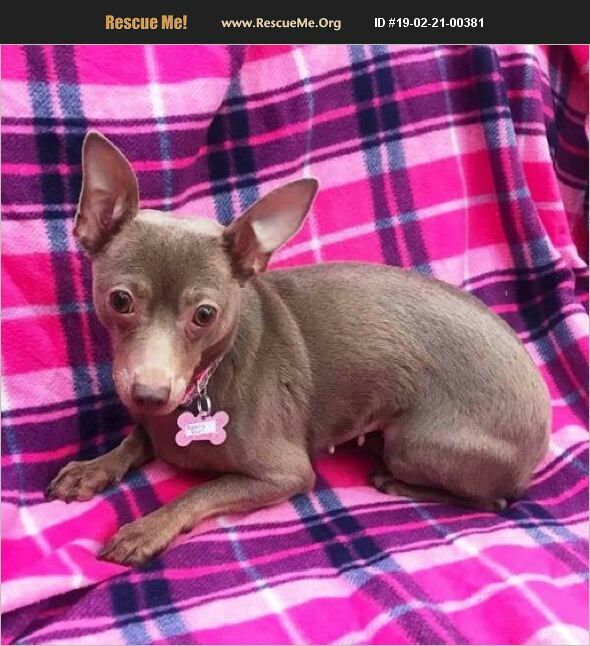 Baby Doll is a sweet 2 year old Chihuahua mix looking for her forever home. She weighs just under 11.5 pounds and is full grown. Baby Doll is a shy girl but once she is given some time she is so cuddly and affectionate. She is good with men, women, and gentle children. Baby has done well with other small dogs in her previous home but wouldn't mind being the only girl in her new home. She is kennel trained but will need additional training to help her learn her manners. Baby is a precious girl that is can't wait to be welcomed into a loving home where she can go on daily walks and snuggle on the couch for TV time. She is spayed, up to date on vaccines, microchipped, and vet checked. Her adoption fee is $280 and includes 30 days of free pet insurance, and comes with a free vet visit. Come to our location at 1102 W. Hatcher Road in Phoenix 85021, open Tues-Sunday 11am to 6pm. On weekends, give us a call for the dogs location as we have off site adoption events that some of our dogs attend, 602-944-2440.